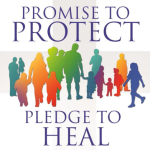 In 2002, the Catholic Bishops of the United States met in Dallas, and approved the Charter for the Protection of Children and Young People and pledged to address the issue of sexual abuse by clergy, lay employees and volunteers in the Catholic Church. The Charter includes guidelines for reconciliation, healing, accountability, and prevention of future acts of abuse. Since 2002, the Bishops have revised the Charter twice and will continue to make changes as necessary. In order to implement the goals expressed in the Charter, the Safe Environment Program was opened in 2004. This program includes training to assist priests, deacons, pastoral ministers, employees and volunteers to be aware of any signs of sexual abuse with the children with whom they might come into contact, conducting background searches to reveal any past criminal activity that might endanger children entrusted to our care, and administering codes of pastoral conduct which serve as guidelines for pastoral activity. Protecting God’s Children is a tremendous responsibility that the Church has and must fulfill. Of equal importance was the need to reach out to victims and their families who have been impacted by sexual abuse by clergy. For many years, the Diocese of Brooklyn has been offering assistance to those who have presented themselves to the Diocese as victims of sexual abuse by clergy through the Office of Victim Assistance. We are committed to helping anyone who was hurt as a minor by sexual abuse to seek help and to begin the healing process. Healing is a journey which can be taken in different steps. Circumstances for each victim are varied, but the commonality is that there is a need to feel that someone understands their pain, acknowledges the wrongdoing and offers an apology in the name of the Church. We hope that through the links on this page, you will find valuable and useful information on the resources provided within the Diocese in Brooklyn and Queens to address the issue of sexual abuse by clergy, lay employees, and volunteers in the Catholic Church. As Bishop of the Diocese of Brooklyn, my prayers continue for all the victims of sexual abuse by clergy or other Church personnel within our Diocese and throughout the Church and all those affected by its occurrence. May the Lord bring healing and peace.